The Speed Twin will be the entry level motorcycle of Triumph catering to Bonneville family. British motorcycle maker Triumph Motorcycles has reportedly trademarked the Speed Twin for one of its bikes in the 2017 line up. The model is expected to be the new entry level motorcycle of the Triumph that will be part of the Bonneville family of bikes. 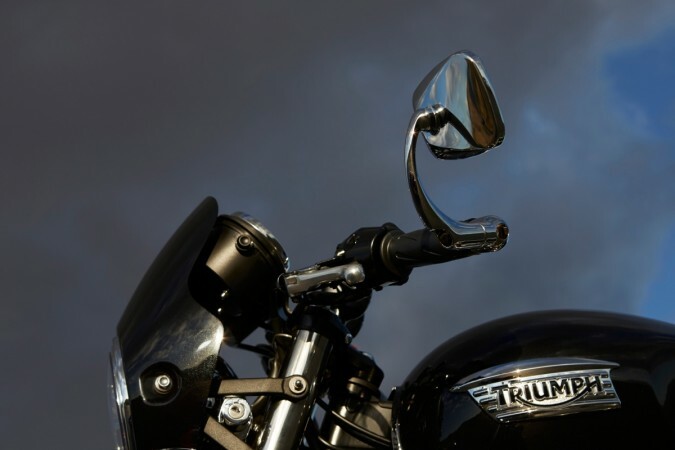 A report in MoreBikes.co.uk says the new motorcycle will be a mini Thruxton R. Triumph Motorcycles India launched the cafe racer model, Thruxton R for Rs.10.9 lakh, ex-showroom, in New Delhi last month. The motorcycle features a retro design with modern technologies. The Speed Twin is also expected to carry similar design of the Thruxton R, while the power plant will be different. The Thruxton R is powered by a 1,200cc parallel-twin engine, while the Speed Twin is expected to get a 900cc engine. This engine is also expected to power the 2017 Bonneville T100. With the addition of Speed Twin, the new Bonneville range is expected to grow in four bikes - others being Street Twin, Bonneville T120 and Thruxton R.
Meanwhile Triumph Motorcycles India's plans to set up a manufacturing unit in Narsapura, Karnataka with an investment of Rs. 850 crore have been called off due to the state government's uncooperative approach, reports Bangalore Mirror. The bike maker who entered India in 2013 is now looking to shift manufacturing unit to Haryana. The company was supposed to set up a manufacturing base on a 30-acre plot at Narasapura industrial area in Kolar district. About 2.5 lakh motorcycles were planned to be produced annually at the plant.